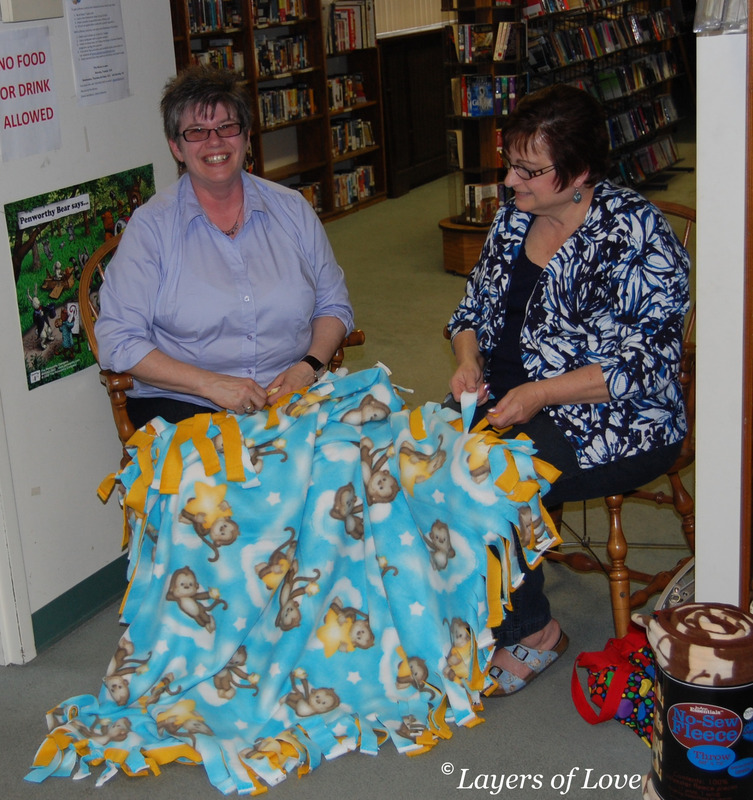 Last Thursday night in the Palmerton Area Library we had our first Fleece Blanket Tying Night. The night was not only a lot of fun it was indeed successful. Plus, it was all for a great cause! We would like to thank everyone who came out Thursday night. 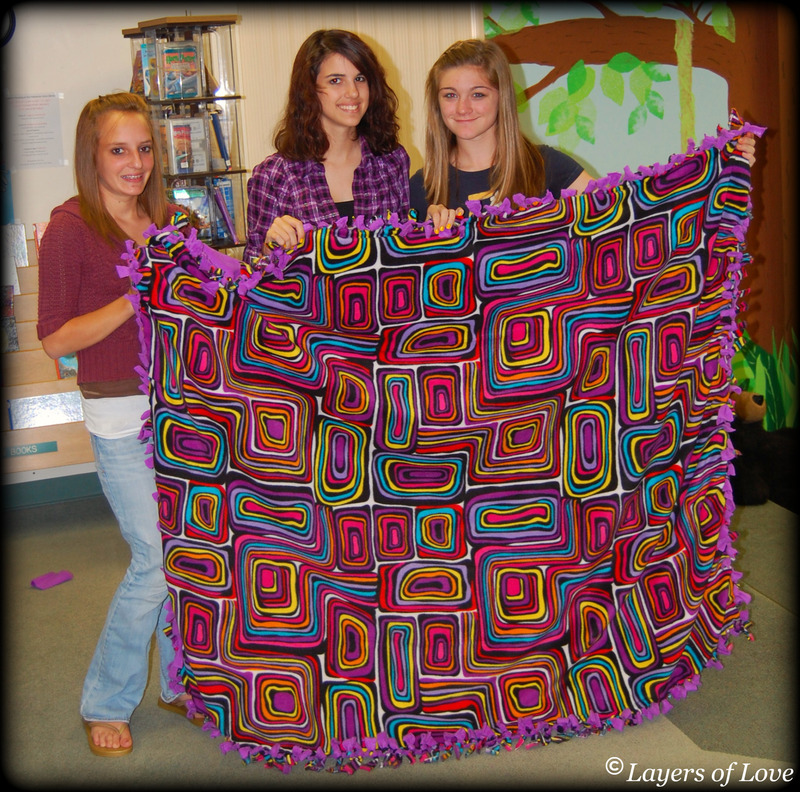 We are so grateful not only for your blanket donations but the giving of your time. Thank you! 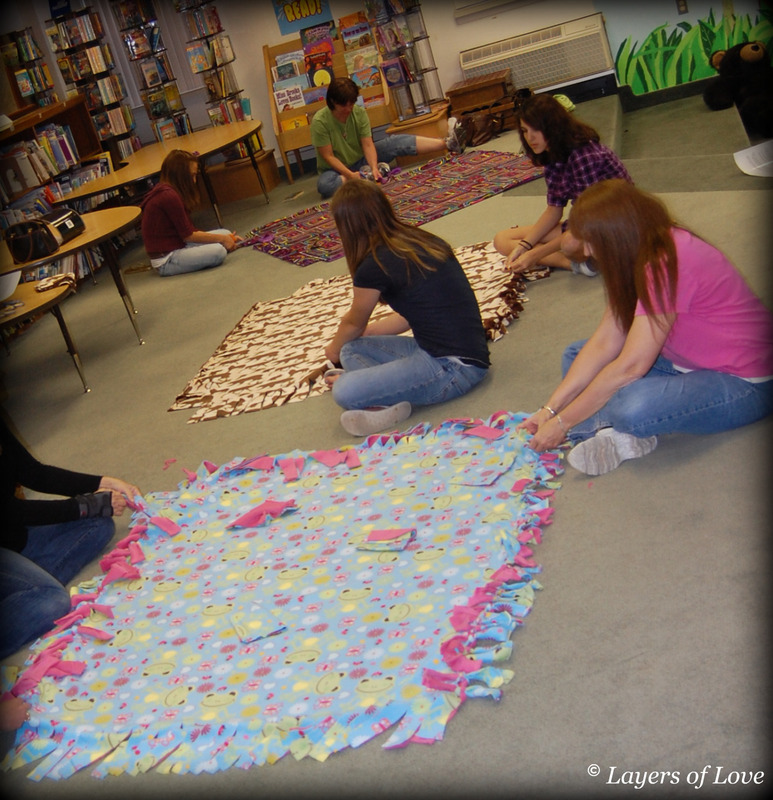 We started out by laying the blankets out on the floor and after some quick instructions everyone grabbed a pair of scissors and began cutting. After the blankets were cut, we moved on to tying the blankets. 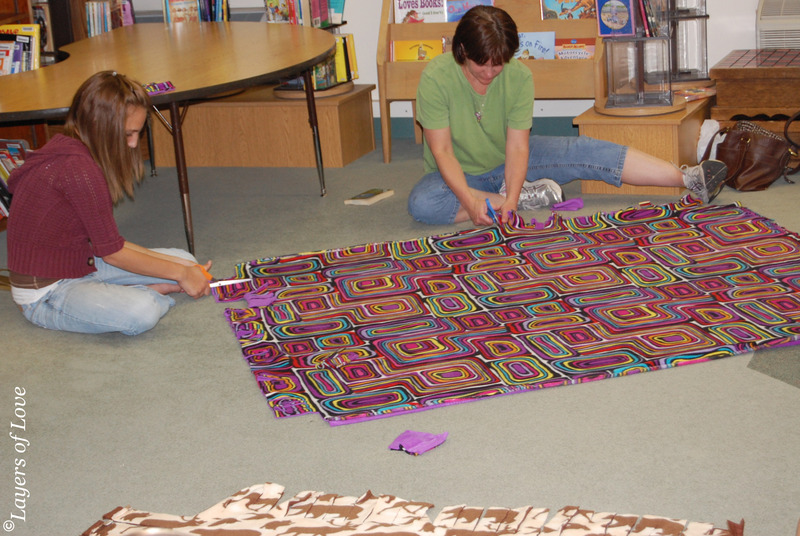 While some of us worked right on the floor there were others who worked right from chairs, that is what’s great about putting together these blanket kits, you can do them either way, however you feel most comfortable. Some brought their own blankets that they had purchased beforehand and others chose from the blankets we provided that night. It was fun to see so many styles and hear the comments and conversation about them. This one was hands down the favorite of the night. *The next Fleece Blanket Tying Event will be held during the day. We are having the event again at the Palmerton Area Library on June 11, 2010 from 10-11:30 a.m. We hope you can join us! This entry was posted in Donations, Uncategorized and tagged cancer, chemotherapy, conversation, Donations, fleece blankets, friendship, fun, Library, patients, thank you, tying. Bookmark the permalink.